In November, we reported that the FCC had to decided to alter media ownership regulations in a way that would allow one company to all of the media in a single area—including a newspaper and multiple TV networks—without needing to own a local “main studio.” In other words, a major media company could roll into your town, buy out every existing outlet, and convert everything into the sort of right-wing propaganda that would make Fox News blush. That strategy is pretty much exactly what Sinclair Broadcasting is hoping to accomplish with its proposed Tribune Media merger, and critics of the new FCC rules suggested at the time that they seemed suspiciously suited to benefit the company and its dream of becoming a nationwide mouthpiece for the Trump agenda. In fact, it all seemed so suspicious that the FCC’s “top internal watchdog” has been conducting an investigation into whether or not FCC chairman Ajit Pai has been purposefully working to help Sinclair. 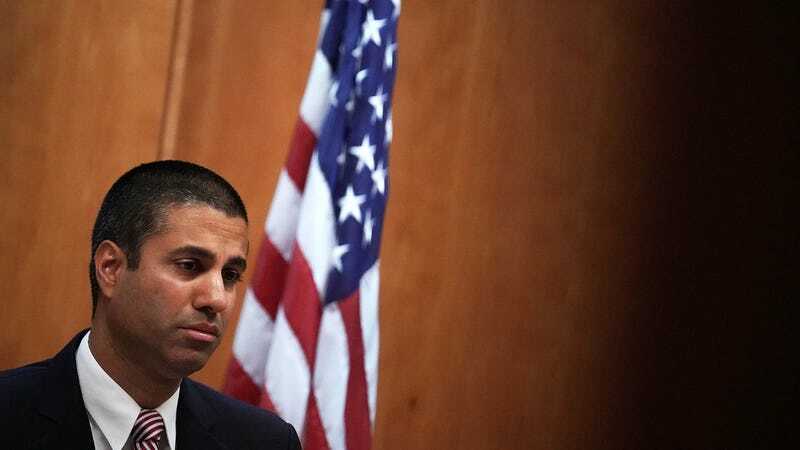 That’s according to The New York Times, which says Pai has met with Sinclair executives multiple times, that Sinclair’s “top lobbyist” has called for these rule changes using similar language as Pai, and that Donald Trump himself has also met with Sinclair executives to discuss FCC rules. Basically, the three of them are all (allegedly) very cozy, which is the same sort of fishiness that has infected virtually every other corner of the Trump administration already. The Sinclair/Tribune merger is expected to be approved soon, creating the biggest TV broadcasting company in the U.S., but The New York Times says that this investigation will complicate the process—and give fuel to the attempts to challenge it.